It is also important to note all images and work shown in this video have been carried out by no other than Kover-it, and is just a sample of the thousands of installations and work carried out by the Kover-it installation team. This short video features just some of the different types of awnings and installations Kover-it have carried out, including awning installations for bungalows, conservatories; awning installations for schools; awnings for flats, high storey buildings, As well as other awkward installations, and straight fit installations. Kover-it’s surveyors and installation teams share a wealth of knowledge and experience spanning more than 60 years in the Awnings industry. Renown for their first class service, Kover-it will never take short cuts, sell or supply inadequate awnings; they take time to help customers find the right awning for them as well as their property. 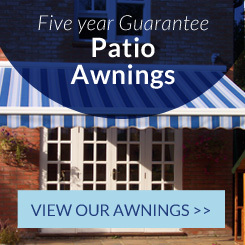 All of Kover-it’s awnings come with a 5 year guarantee, and the majority are still lasting 20 years plus. Firstly ensuring the awning is fitted at the correct height, as you need to account for correct pitch height for the awning, Hence resulting in the front profile being lower, which means accounting for possible obstructions i.e bi-folding doors. Ensuring there is strength within the wall or where it is being installed. Ensuring the weight of the awning is spread evenly across it’s brackets, Furthermore, ensuring the brackets are fitted in the correct places to spread weight load. Ensuring the correct fittings and attachment methods are used. For example, in some bigger installations this may mean also using chemical fix. Ensuring the correct pitch of the awning. If an awning isn’t installed or fitted properly it can result in either damaging your property, damaging the awning, or worst… damaging somebody. It is also often the case that if it is not installed properly, the damage will not surface until a much later date- which if not irreversible, will be costlier than the initial cost of the installation. Buying an awning to put on your property is not just like buying a picture to hang on your wall- you can buy the best awning in the world- but if it is not fitted correctly it is worthless. So if you are looking to get an awning installed make sure you use a reputable honest company, competent at what they do. It can sometimes be best to get the awning installed by the same company you are buying from (if they have a reputable installation team), as they will then be able to offer a guarantee on the labour and parts, as well as the awning. It is also best to go with a local company as if you have any issues with the awning in the future, you have someone you can call upon. If you have seen any of the images featured within the video elsewhere- please let us know- as we believe a decent awning-installation company should have no problem featuring their own work, and should not deceive their customers. 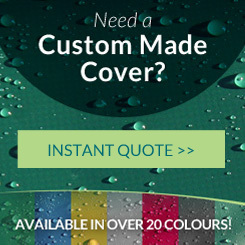 You can contact us by our email enquires@kover-it.co.uk.